In 1996 VacAir Superstore were the first independent pump supplier of vacuum pump vanes through our group of companies. We stock, supply and fit a vast number of vacuum pump vanes including brands such as Becker, Rietschle, Busch, Gast, Leybold, Orion and Edwards. For over 20 years our company has been at the forefront in supplying the widest range of vacuum pump vanes to the rotary vane vacuum pump and rotary vane low pressure compressed air market. We pride ourselves on our low cost and high satisfaction policies. Consequently all of our vacuum pump vanes are up to 60% cheaper than standard OEM parts and operate to the same extremely high standards. We offer our Price Promise hence we won’t be beaten on price on any of our stock products! Open the manufacturer section to find your pump then click on the Vacair no., OEM ref, pump model or vane code to view the details of the vane. Need Some Advice on your Vacuum Pump Vanes? VacAir Superstore are considered the best in the market for individual and expert advice when it comes to vacuum pump vane replacement. If you require carbon vacuum pump vanes we can advise what is best for your individual system. We will then back this up with an unbeatable price and outstanding service levels. Should you be unsure what type of vacuum pump vanes you are using we are confident that we can target the exact replacement vane. By contacting us we can also run you through our free unique pump health checker. Maybe your pump may requires more than new vanes. We can guarantee that you won’t find this help or guidance anywhere else! We have in-house main agent experience too, with technical and engineering staff trained by Gebr, Becker, GmbH, Gardner Denver and Elmo Rietschle. To top off our outstanding service, it’s all free! What Vacuum Pump Vanes Do You Stock? If you know exactly what you’re after that’s not a problem, simply find the part number above and call us for a free quotation. You can quote the unique part number for VacAir Superstore or even the pump OEM part number. If your unsure about the pump vane you require you can always contact us and we can confirm your choice or identify your exact vane and even give you fitting advise if required. Cant find what you’re after? We also have thousands of typically non stock items available and we supply all parts for pumps not just vacuum pump vanes. So why not contact us us to see if we have your required item in stock. 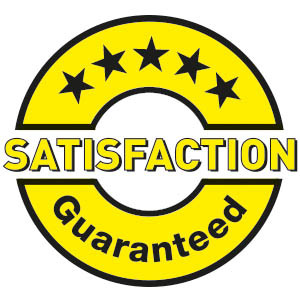 VacAir Superstore are ISO 9001:2015 quality assured meaning our products meet rigorous standards to ensure you’re getting value for money. Every vacuum pump vane is inspected by our quality control department ensuring it meets our tight tolerances. Our test equipment undergoes an audited programme of inspection and this means traceability back to a National Scientific Source. This ensures total quality an especially relevant ethos throughout our organisation. Today’s world is fast paced and highly mobile friendly. We are all familiar with ordering online for many consumer type products and it would be easy for us to sell via an online shop. There are simple yet important reasons why we don’t. We find our customers thrive on our expert advice and professional service. Understanding and guidance about your vacuum pump issues regardless of the industry you are in sets us a part. Direct contact enables us to establish if your vanes need replacing due to regular wear. If vanes are broken there could be an underlying issue within the pump or your system. We can advise you the appropriate action to increase the life of your vanes preventing breakage hence increasing your productivity. You won’t find help or guidance at this level online! This is a philosophy adopted by every pump manufacturer in the world consequently none them have an on line shop! We have huge stocks of vacuum pump vanes suitable for the major manufacturers vacuum pumps. Should we not have your requirement we can easily cut vanes from base blocks to meet your need.